Blending cowboy-kitsch styling cues from the company’s past with a spec sheet that modern rock guitarists can get on board with, the G6620T delivers ‘that great Gretsch tone’ from a business-class seat – unlike the rollercoaster ride of old. Our favourite model in Gretsch’s NAMM 2019 collection, this instrument represents the brand’s newest evolution of its centre-block equipped, double-cutaway semi-hollow format. After pop morphed into rock in the lysergic Petri dish of the late 1960s, Gretsch – much like Rickenbacker – found itself somewhat sidelined. Though they were still cool as hell, for many mainstream rockers, Gretsch six-strings became regarded as ‘special effect’ instruments that would be pulled out for a tune or two, but weren’t deemed robust enough for a whole set in the new world of low-slung guitars and high gain. 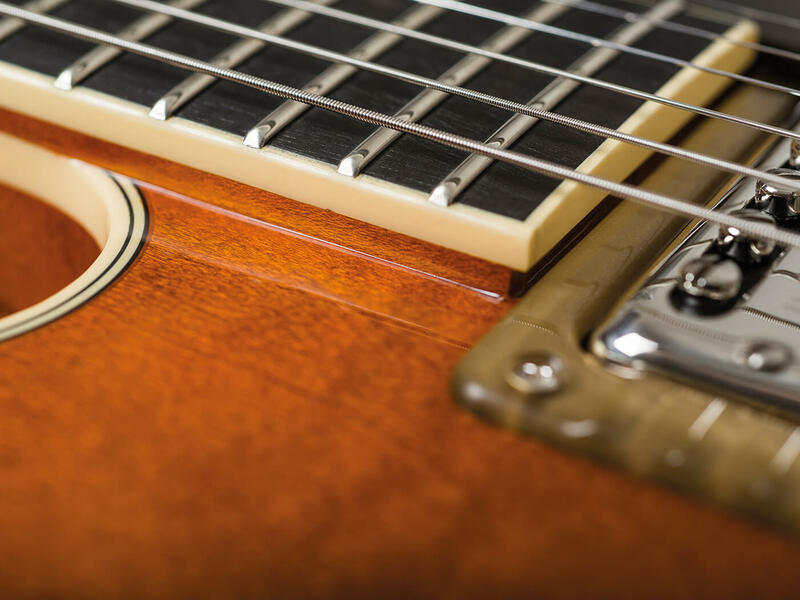 A handful of high-profile players managed to made it work – Malcolm Young and Billy Duffy spring immediately to mind – but for the most part, when the time came to rock out, guitarists would reach for another G-brand. Yet for a certain stripe of rockabilly outlaw, Gretsch is still the only guitar company that matters. Over the past couple of decades, a modification-hungry subculture has thrived. Rock ’n’ roll gunslingers not only discovered innovative hardware and electronics solutions from the likes of TV Jones and Tru-Arc Bridgeworks, but also forums where like-minded Gretsch fans dispense advice on how best to saddle up these bucking broncos and keep them under control at stage volume. But wouldn’t it be nice to drop a couple of grand on a guitar and find that it doesn’t need to be modded or upgraded, or have foam stuffed into it for loud live use? Happily, back in 2013, Gretsch launched a series of Center Block instruments designed to tackle feedback issues, while the more recent Players Edition upgrades saw such luxuries as String-Thru Bigsby tailpieces and paper-in-oil tone caps enter the fray. ‘Every song, every night’ is the maxim, with the aim to transform these premium electrics from pro toys to pro tools. At first glance, the G6620T seems to be a Nashville-ised version of the G6137TCB Panther Center Block model on which your correspondent has leaned heavily in recent years. However, look closer and there are a series of subtle differences that nudge it closer to Gibson’s thinline designs. Both the Nashville and the now-discontinued Panther models were hand-built in the same small Terada facility in Kanie, Japan. They share a double-cutaway body design that’s approximately 400mm in width and 44mm deep at the edges, but the string geometry is different. Where the Panther’s bridge sits on a pinned rosewood base and the fingerboard floats from between the 19th-20th fret onwards, the 2019 Nashville model has a lower profile, and is further removed from a traditional archtop as a result. 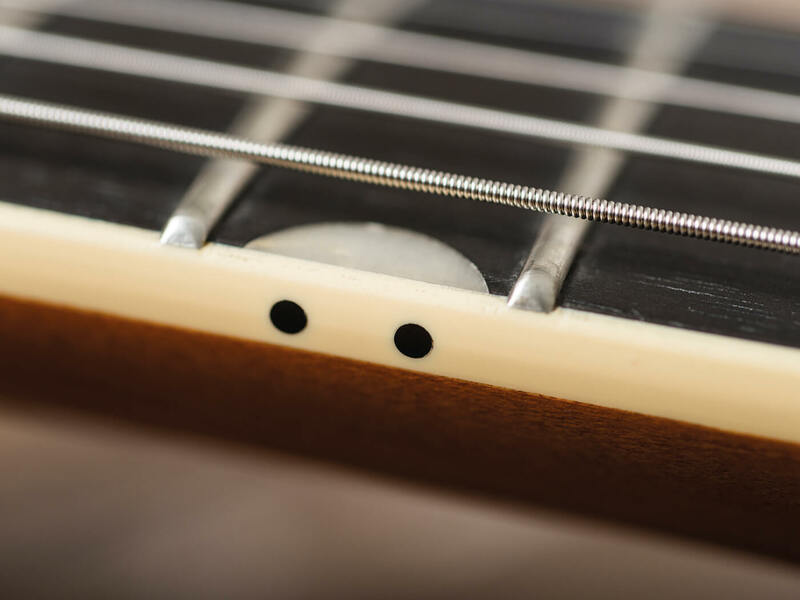 While the Panther’s strings are some 20mm from the top in the area between the pickups, the Nashville model has a clearance of around 14mm. Its Adjusto-Matic bridge is fitted directly to the body and the neck join is more like an ES-335, with no air under the end of the fingerboard, while the Bigsby B7CP’s tension bar gives a break angle across the bridge that’s more akin to a stopbar than the shallower string angle created by the Panther’s B6C. 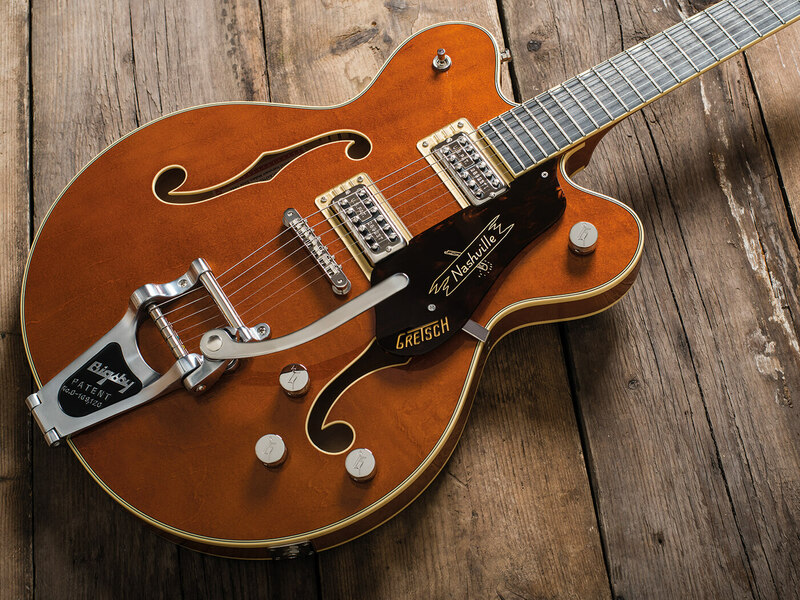 The Nashville model’s Round-Up Orange finish is Gretsch in excelsis, and other visual elements such as the enlarged and bound f-holes, the aged pearloid Neo-Classic thumbnail inlays in the ebony fretboard and the engraved tortoiseshell pickguard contribute to an overall look that’s classic Gretsch – but not too chintzy. 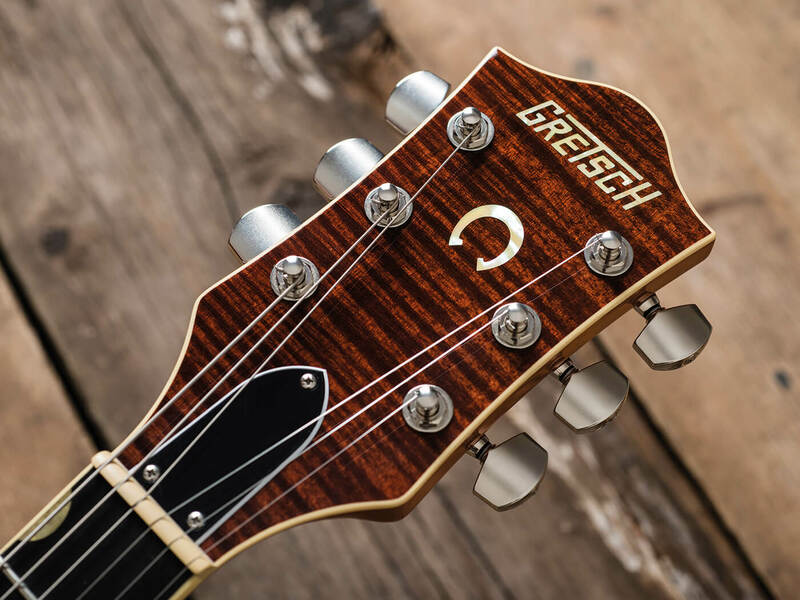 At the headstock, with its Gretsch logo and horseshoe motif inlaid in abalone, the flame-maple fascia adds further flamboyance but locking Gotoh tuners are present to steady the ship. The typically slim-and-sleek neck provides largely unimpeded access to its upper reaches and the G6620T has plenty of acoustic sustain and clarity. Given that our own centre-block-equipped G6137TCB has very similar specifications and the same High Sensitive Filter’Tron pickups, it gives us an opportunity to find out how much difference the neck-to-body join, no-load tone control and paper-in-oil tone capacitor make to the guitar’s sound. After spending some time with the Panther by way of an ear-orientation exercise, we switch to the Nashville model and hold a few first-position chords. 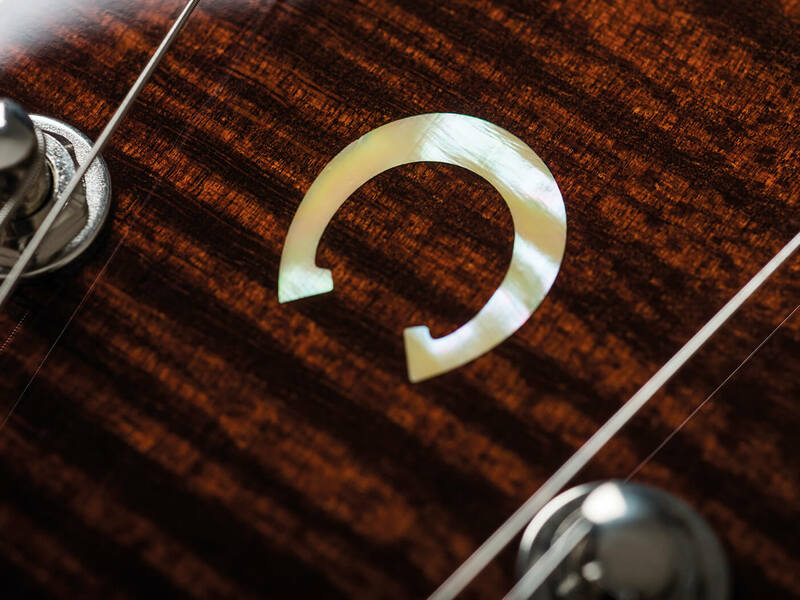 The Players Edition instrument immediately offers a smoother experience with more sustain; you can’t only hear it – you can feel it under your fingers, too. Further testing reveals that the Panther is perhaps a little more explosive, with more attack and more of a snarl, but the even decay offered by the Nashville model gives the impression that a tasteful helping of subtle, slow-release compression has been dialled in. It’s a smoother ride for conventional blues lead playing, too, with a greater palette of tones available thanks to more effective onboard controls. 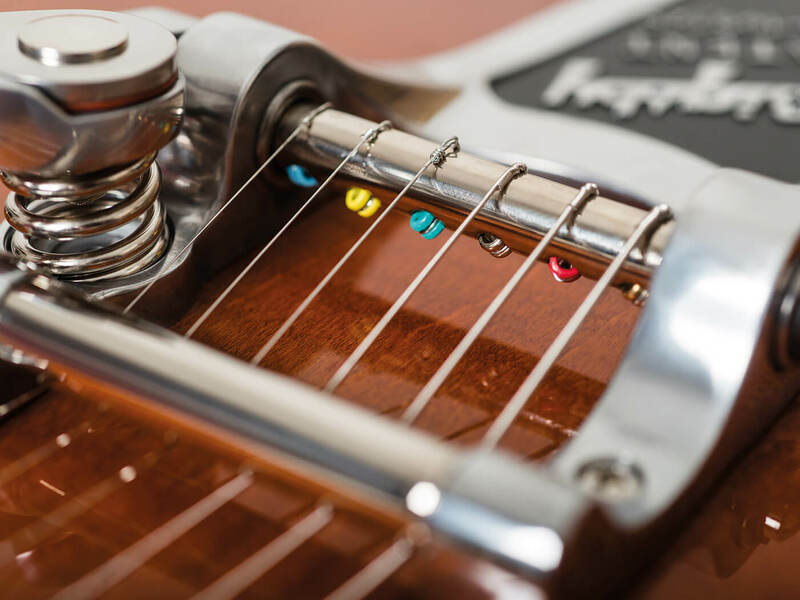 The no-load tone control has a much more useful taper, while the master volume’s treble-bleed circuit retains clarity when you turn down – ideal for those who get their drive tones from a cranked amplifier and want to be able to clean up without turning to mush. It’ll still do fireworks, of course. 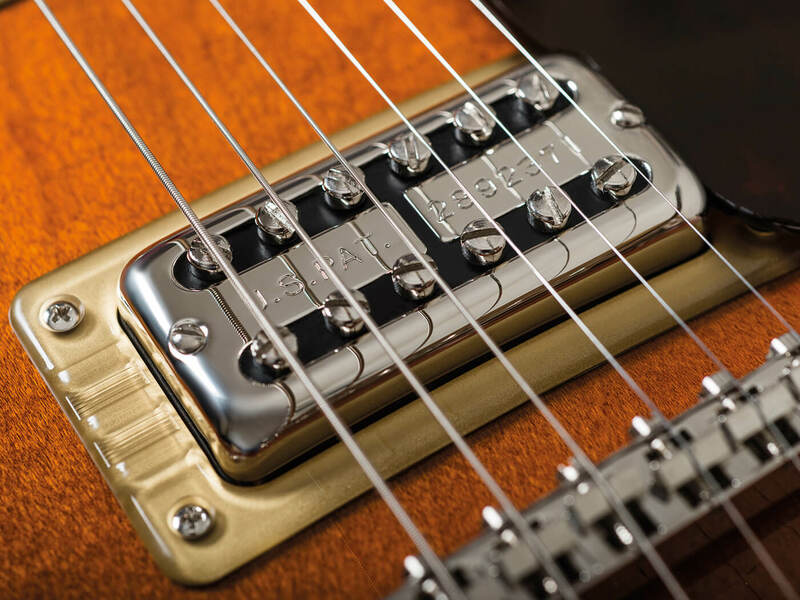 Despite the myriad aftermarket Filter’Tron-style humbuckers available and the numerous in-house variations developed by Gretsch in recent years, we still think these High Sensitive units have a lot to offer. Underrated and versatile, they can go from Johnny Marr to AC/DC, or George Harrison to Jack White, in a heartbeat. It’s a great guitar for heavier alt-rock styles too, with a saw-toothed combination of power and grit that works brilliantly for aggressive QOTSA-style rhythms and white-knuckle lead. The irony is, of course, that modern stage-volume limitations and sophisticated monitoring systems mean that it’s easier to use a fully hollow Gretsch in a live environment now than it has been at any time since the 1950s. But the company’s latest Center Block models offer a very different and arguably more universally appealing playing experience. By any measure, the G6620T is an extremely versatile, great-sounding electric with a classic aesthetic – it even represents decent value for money when you consider that our Panther model retailed for almost £600 more back in 2013. A versatile step forward from previous Center Block models that still retains plenty of Gretsch character.